Blue Number 4 Balloon, 40"
Gold Number 4 Balloon, 40"
Purple Number 4 Balloon, 40"
#4 Shaped Mylar Balloon, Purple Number 4 shaped foil mylar balloons. 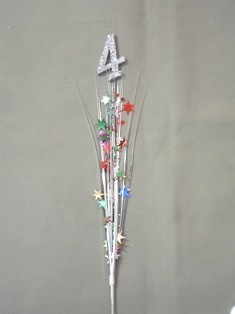 Perfect for age specific birthday celebration decorations.. Requires Helium. Red Number 4 Balloon, 40"
Silver Number 4 Balloon, 40"